Phrasal verbs are not students’ favourite topic, are they? There are so many in the English language and each one has many different meanings. This is why it’s important to begin memorising the most important ones. Are you ready? Excellent! 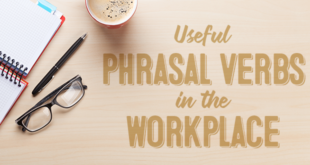 It might seem like a lot, but these 25 phrasal verbs will improve not only your written communication, but also your ability to understand conversations. Native speakers use phrasal verbs all the time in conversation! Most of these phrasal verbs have several meanings, make sure you remember them all! Learning useful phrasal verbs with @ABAEnglish is great for my English level! a- To be added together and equal the expected or correct total. b-To make sense : to seem to be logical or true. b- To explode or to cause (something, such as a bomb) to explode. c- To become very angry. a- To take care of and teach (a child who is growing up). b- To mention (something) when talking : to start to talk about (something). a- To stop doing or planning to do (something) . b- To cause or tell (a person or animal) to stop attacking, chasing, etc. b- To behave or speak in an excited or foolish way. a- To seem to have a particular quality or character : to make a particular impression. b- To be expressed to someone. c- To meet or find (something or someone) by chance. a– To get or think of (something that is needed or wanted). b- To make progress while doing something. a- To go away from a place. c- To not be criticised or punished for (something). a- To stop being controlled or bothered by something, such as a problem or feeling. b- To stop feeling unhappy about (something). c- To become healthy again after (an illness). b- To go or travel to a place before another person or group that is with you. a- To have or keep your hand, arms, etc., tightly around something. b- To succeed in keeping a position, condition, etc. a- To take care of (someone or something). a- To expect (something) with pleasure. b- To search for (something) in a reference book, on the Internet, etc. a- To write down the required information on (something, such as a check). c- To kiss and touch for a long time in a sexual way. a- To fall asleep or become unconscious. b- to give (something) to several or many people. a- To move a vehicle to the side of the road and stop. a- To place (someone or something that you have been holding or carrying) on a table, on the floor, etc. a- To decide that (something) will happen at a later time : postpone. a- To allow (someone or something unpleasant or annoying) to exist or happen. a- To be found usually unexpectedly. c- To increase the volume, temperature, etc., of something by pressing a button, moving a switch, etc. a- To be aware of something dangerous. If you would like to continue learning phrasal verbs, then what are you waiting for? 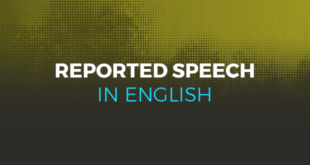 Is their any difference between England’s English, Australian English and American English. Please help. And also tell me can we make different sentences using any phrasal verb like blow up.I mean who many sentences can we make on one phrasal verb. “To blow up” means to explode. But it can also mean that your anger “explodes” and you lose your temper. Many phrasal verbs have a lot of different meanings. 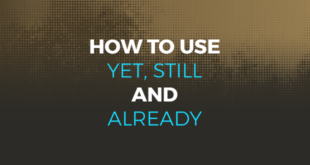 This is why you must keep practicing all the time. Wesome Erin, keep up the hard work! is all of phrasal verbs informal? 1.”which places have you been?” -this one is correct. 2.”which places had you been?” -this one is wrong. Can you please tell me why the 2nd one is wrong. And suppose I visited Russia last year. Then what should I say ‘I have been in Russia last year’ or ‘I had been in Russia last year’. We would say “What places have you been to?”. If you visited RUssian last year, you would say “I was in Russia last year” because it is a finished action in the past. We’re happy you enjoyed it Milca! Next year I’ll be studying in England in high school. to do to be prepared for next year. Hi mam its rahul from india….please give some tips for competative english grammer..
Kate, I am working on a paper/presentation, and I am wondering what source(s) you used to establish the “most useful” PVs, or if you and your experiences were the major sources. WHAT IS THE DIFFERENCE BETWEEN IDIOMS AND PHRASAL VERB? Phrasal verbs are made up of a normal verb + preposition which then changes the meaning of the verb. Idioms on the other hand are set phrases in English which have a specific meaning and can’t normally be translated literally to other languages. Thanx a lot of u for your wonderful job. I found the list really helpful. Kate, Thank you for transferring your knowledge to us. for this phrasal verb put up… is correct if i say: Can you put up all your toys and leave them on the box? or put up is just to say : put your hands up!!! In American English you can say “Can you put up all your toys and leave them IN the box?”, because it means to place something in a container or storage. If you want to be understood both by British and Americans, you could use “put away” instead. I am begiiners want to learn from very basics …….so plz help me MAM!!!! Kate You so beautiful, I felt in love with you in the first sight!. Hello Sanae! Thank you, you’re so kind! Hi Kate! My curiosity of most useful phrasal verbs brought me here. Yass! I ended up enjoying some other posts and having this site bookmarked in the end. Thank you so much for running this site. You’re so kind and I wish you all the joy in life! Please keep doing what you do; spreading love through helping other at being better with English like this. Wow Arvin! Those are really kind words of you! I’m Mertcan from Turkiye.This website is so benefical to develop my vocabulary skills.I want to thank you for posts.Please keep going to share . Thanks for your question. A phrasal verb which means that something is no longer useful or no longer functions well could be “to wear out”. For example: “The jacket is worn out”. I also teach ESL, I was very surprised while I was making a list of phrasal verbs for my students, how many of them use ‘up’. Seems optimistic! Yes, there definitely are a lot of phrasal verbs which which use “up”. Good luck to your students in their studies. I think, you have a zeal to share the things with all among from your best & I would also like to be in contact with you like persons forever…. It is nice experience to read your phrasal verbs and would must try to entirely put up these all. Hi Kate, I love your post, but I have a question about the methodology. 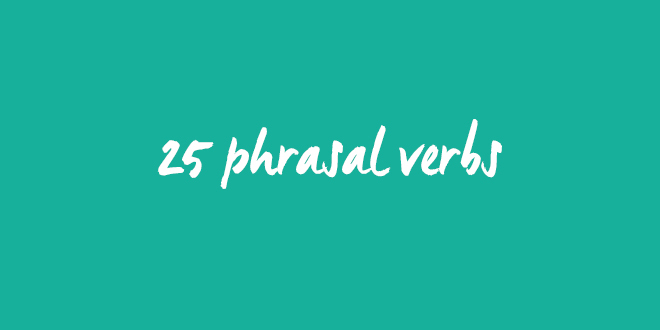 How do you know these are the 25 most useful phrasal verbs? Thanks for your question! These phrasal verbs are used on a very regular basis and have many different contexts making them very useful indeed. Thank you very much I ll use it in my daily conversation until pass away. You’re welcome 🙂 We are glad you liked it.